As an identity code of its scientific method and action, the journal promotes forms of meeting and mediation among theoretical thought, technical and local knowledge. It hosts scientific articles as well as contributions from local communities and institutional actors who share this approach and experiment innovation projects and practices. The journal is intended as an observatory on innovation practices and a place of theoretical reflection on them, providing infor-mation, conceptual and practical tools for active citizenship and institutions engaged in various forms of attention to care and government of territories as common goods. The aim is to foster experience exchange and knowledge dissemination and, in a wider perspective, to trigger continuing education and empowerment, by encouraging and strengthening ways of learning and self-learning which can be catalysed by readings. 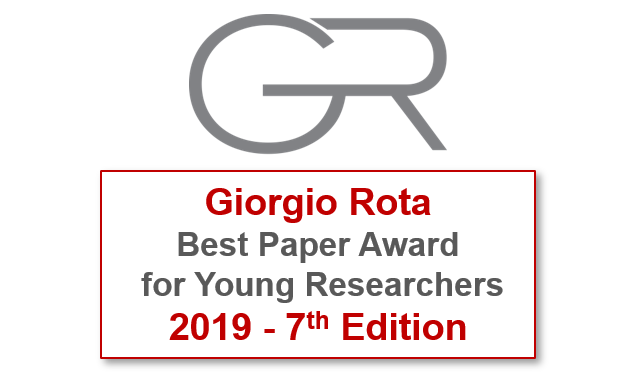 We are delighted to announce that The Centro Einaudi with the support of Fondazione CRT launches the 7th Giorgio Rota Best Paper Award. The Award is open to researchers born after December 31st, 1984 (BA, MA or PhD). The call has the support of Fondazione CRT. The selected papers will be announced by April 29.